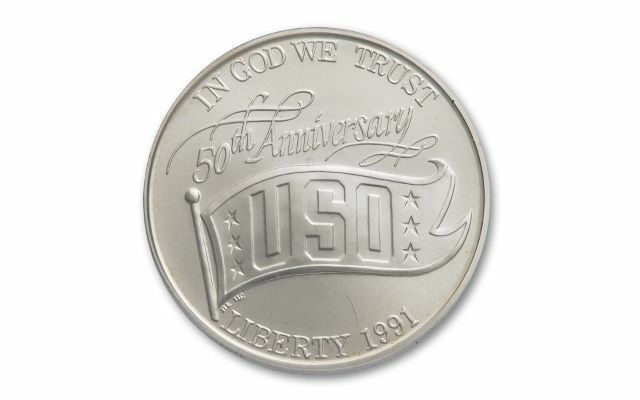 This 1991 Silver Dollar was struck at the Denver Mint, and honors the 50th anniversary of the United Services Organizations (USO). The group was founded in 1941 to supply social, recreational, welfare and spiritual support to armed services personnel. 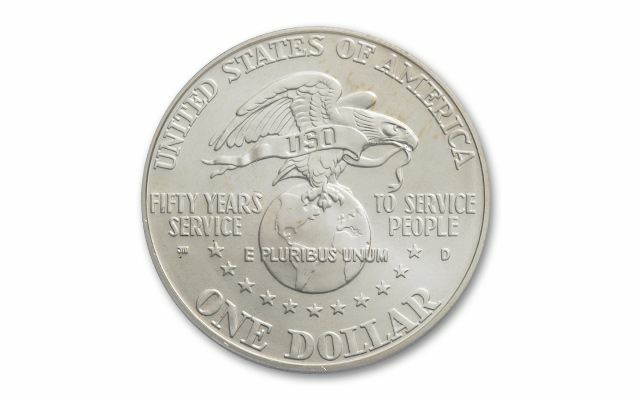 The reverse, designed by John Mercanti - the 12th chief engraver of the U.S. Mint - features an eagle atop a globe. 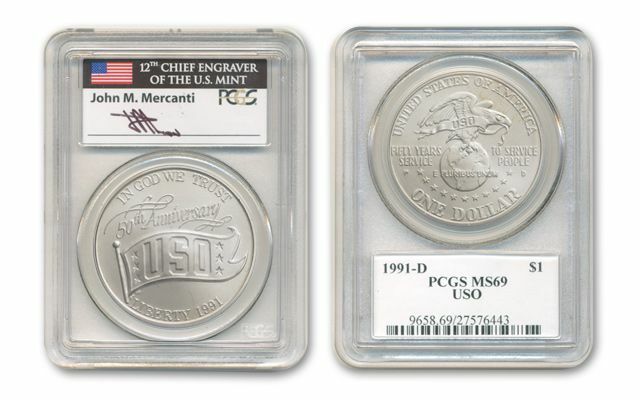 Now, you can obtain this elusive Silver Dollar graded Mint State-69 (MS69) by Professional Coin Grading Service. In addition, each label is hand-signed by Mr. Mercanti and sealed with the coin in the holder. 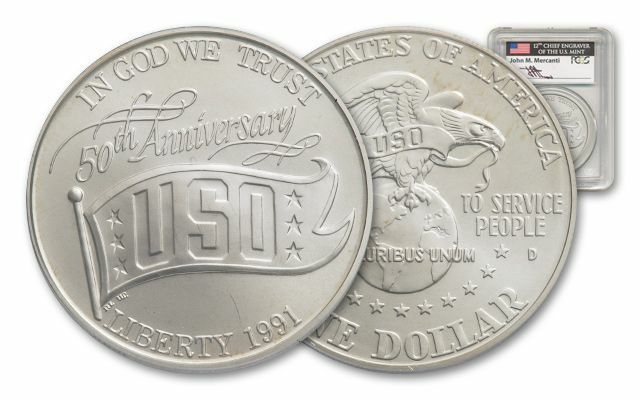 This unique double collectible can be yours. But hurry, only 139 exist!